Personnel flow between China and other countries and regions involved in the Belt and Road Initiative rose by 31 percent between 2013, when the initiative was proposed, and last year, according to a big data report published on May 14. The number of people traveling between China and other Belt and Road countries reached 26.5 million in 2017, a year-on-year rise of nearly 5 percent after consecutive increases in previous years, according to the report, published by the Research Center of the Belt and Road Initiative with the Shanghai Academy of Social Sciences. The increase was higher between China and countries involved in the initiative, the report showed. Accumulated trips originating in China to the countries and regions involved in the initiative increased nearly by 39 percent from 2013 to 2017, compared with an increase of about 25 percent to countries and regions not involved in the initiative. Shi Nan, deputy director of the research center, said the personnel flow included all types of trips ranging from personal to business, but they believe the change was associated with the initiative, as the increase in 2013 was the most eye-catching. 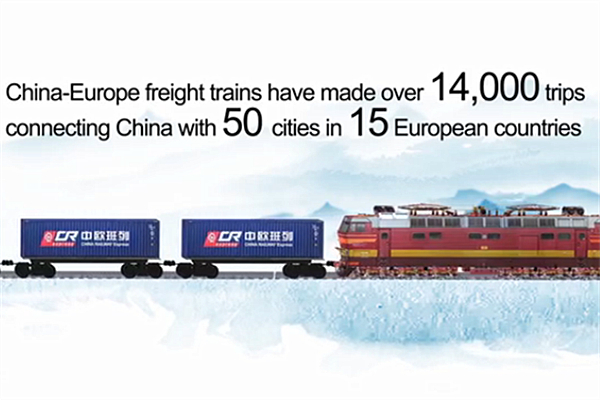 The report also found that routes such as Shanghai to Prague, Shanghai to Bangkok and Beijing to Tashkent are the significant bonds linking China and countries in different regions involved in the initiative. Bangkok, Singapore and Kuala Lumpur, Malaysia, are the top nodal cities of personnel flow. “The diplomatic relations between China and the Czech Republic are quite positive these years and the number of Chinese visitors to the Czech Republic grew by 52 percent, the highest growth rate of Chinese visitors to a foreign country. Pakistan and Israel came in second and third place,” Shi said. Zhou Zhuo, associate professor at the Shanghai Academy of Social Sciences’ Institute of World Economy, said the findings regarding personnel flow are nearly identical to how closely China is working with the other countries through the initiative. For example, an industrial park built by China and Thailand near Bangkok serves as a perfect example of China’s collaboration with other countries and regions involved in the initiative, according to the Shanghai Academy of Social Sciences report on the Belt and Road Initiative published earlier this year. More than 80 Chinese enterprises and two foreign businesses, mainly automobile parts manufacturers, were operating in the industrial park at the end of 2016. Those drew more than 2,000 Chinese to work there and provided jobs to about 20,000 locals, the report said. According to the Ministry of Commerce, 56 industrial parks collaboratively constructed by China and other countries involved in the initiative are under construction, accounting for nearly three-fourth of the total of such parks around the world. Zhou said it is meaningful to look at the development of the initiative from the perspective of personnel flow, which brings innovation and trade possibilities. “The meaning of finding these nodal cities and bonds is that when China goes deeper with the initiative, it will have a clearer idea of which places may further drive the flow of commodities and capital,” Zhou said.